Did your Fire Tablet just deregister itself? I am reading multiple reports on the Amazon forums that some people are having problems with their Fire tablets somehow spontaneously deregistering from their accounts. Members are reporting that all their books, personal photos, documents and emails are being wiped off the devices. 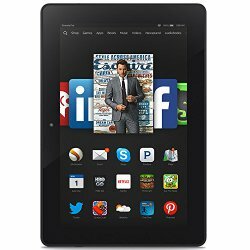 Many of the reports seem to involve the Fire HD 8.9, but I did see one reporting the problem on an Fire HD 8 and another reporting the issue on a Fire HD 6. It’s not clear if this is an update gone wrong or a bug. It does seem to be specific to the Fire tablets and not the e-ink Kindles. The tablets seem to doing a factory reset while in sleep mode. One forum member said that they called customer service and were told that Amazon is working on the problem. I don’t keep very many personal items on my Fire tablets, but I do have a couple of apps that I have to install manually as they are not in the app store. I did notice that the Scribd app was missing from my Fire HD 6, as well as a couple of others. So, I will be calling customer service later today to see what’s up. Have you had a problem with your Fire tablet? Update: I posted an update to this issue here. Update 2: Amazon has posted an announcement on the issue. Post here.